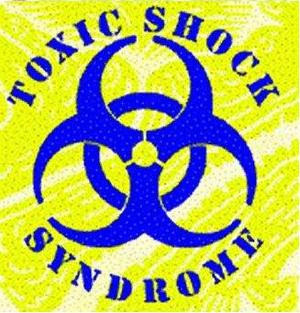 Snail Hollow Gazette: Toxic Shock? BTW, I sent the wireless keyboard and mouse, but forgot to put in the receiver! My bad. They won´t work without it. Just leave them in the case. Sending very best wishes, prayers, hopes your way for full and timely recovery. Thanks anyway, Jim. Darrin's Dr. suggests he may get to come home tomorrow. My hope springs eternal . . .
Patricia - Thank you so much for your prayers - they have been deeply felt. You can't imagine the miracles that have taken place. There are truly angels among us. I have the receiver sitting here on my desk. It needs to work together with the keyboard and mouse -- makes a laptop decent to use -- but I don´t know how to bring it to you. Jim - No worries. I'll probably just drop it off at Cindy's when I go in next time to see Darrin, or when he finally gets to come home, whichever comes first (I'm praying for him to come home first). I figure with how crazy things are for me right now, you'll probably get by Cindy's before you'll get out here or I'll get out there so I can return it to you. I do appreciate your kindness, though. Obviously Darrin didn't get to come home today. A new symptom popped up yesterday, so they kept him another day. Maybe tomorrow . . .
Use the machine as long as you like -- it is kinda extra around here anyway. But do come and get the wireless receiver. The wireless keyboard and mouse make it almost nice to use. I can´t see how I got by without.